Calling a trial that resulted in a judgment of acquittal under Section 232 Cr.P.C. after closing evidence pursuant to examination of one formal prosecution witness, as a ‘farce’, a ‘mock trial’ and comparable to an experimentation conducted by a child in a laboratory, the Supreme Court has come down heavily on the conduct of the trial judge, calling the course of conduct adopted in the trial in question as neither permissible nor allowable. The Supreme Court emphasized the principle that “non-application of mind by the trial court has the potentiality to lead to the paralysis of the conception of fair trial”. The facts which compelled the Supreme Court to make the above observations are as follows: The informant lodged an FIR on 29.11.2004 at Tikari Police Station about 8.00 p.m. that the accused persons came armed with various weapons, took away her husband Brahamdeo Yadav, the deceased, and threatened the family members not to come out from their house. The deceased was taken towards the house of Krishna Yadav and next morning he was found dead having several wounds. On the basis of the FIR, criminal law was set in motion and eventually, the investigating agency submitted the charge-sheet for offences punishable under Sections 147, 148, 149, 341, 342 and 302 of the Indian Penal Code (IPC). After the accused persons were sent up for trial, charges were framed on 10.8.2007. After the charges were framed, the trial Judge, that is, Additional Session Judge, FTC-II Gaya, passed orders to issue summons to the witnesses and they were issued on 17.8.2007. Thereafter the trial Judge issued bailable as well as non-bailable warrants against the informant on 5.12.2007. The trial Judge on various occasions recorded that witnesses were not present and ultimately vide order dated 17.5.2008 directed the matter to be posted on 23.5.2008 for orders under Section 232 CrPC and on the dated fixed recorded the judgment of acquittal. The informant aggrieved by the judgment of acquittal carried the matter in revision to the High Court which opined there had been no fair trial and accordingly remanded the matter for retrial by the trial court. Challenging the remand order, the accused went up in appeal to the Supreme Court. The Apex Court said that the attitude of callousness and nonchalance portrayed by the prosecution and the total indifferent disposition exhibited by the learned trial Judge in shutting out the evidence and closing the trial after examining a singular formal witness, PW 1, in a trial where the accused persons were facing accusations for the offences punishable under Sections 147, 148, 149, 341, 342 and 302 of the Indian Penal Code (IPC), which entailed an acquittal under Section 232 of the Criminal Procedure Code, 1973 (CrPC), are really disconcerting; and indubitably cause discomfort to the judicial conscience. The Apex Court also held that the court is duty bound to see that neither the prosecution nor the defence takes unnecessary adjournments and take the trial under their control. “The court is under the legal obligation to see that the witnesses who have been cited by the prosecution are produced by it or if summons are issued, they are actually served on the witnesses. If the court is of the opinion that the material witnesses have not been examined, it should not allow the prosecution to close the evidence. There can be no doubt that the prosecution may not examine all the material witnesses but that does not necessarily mean that the prosecution can choose not to examine any witness and convey to the court that it does not intend to cite the witnesses,” said the Supreme Court. 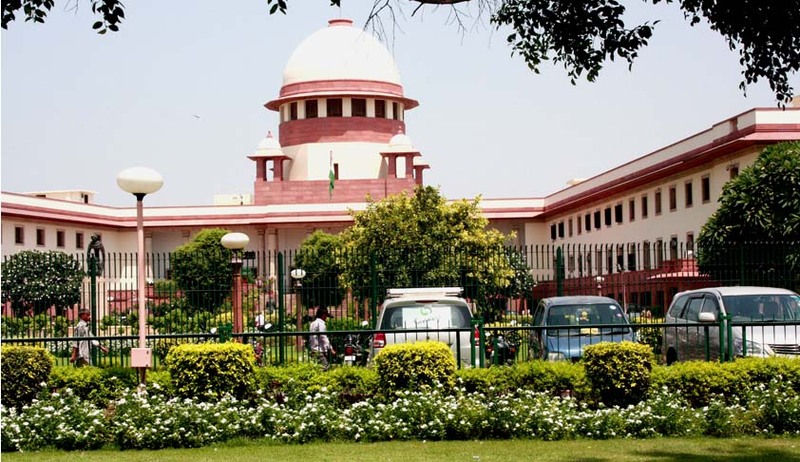 The Apex Court relying on its decision in K.Chinnaswamy Reddy v. State of Andhra Pradesh and Anr( AIR 1962 SC 1788) categorically held that the High Court would be justified to interfere with an order of acquittal if the trial court has wrongly shut out the evidence which the prosecution wishes to produce. Commenting on the Judgment Legal Commentator and Columnist Saurav Datta told LiveLaw that "This ruling exposes the parlous state of the prosecution in criminal cases. While the prosecution is quick to coerce people into testifying , even against their will, it arbitrarily decides to go soft in certain cases." On the culmination of a criminal case in acquittal, the concerned investigating/prosecuting official(s) responsible for such acquittal must necessarily be identified. A finding needs to be recorded in each case, whether the lapse was innocent or blameworthy. Each erring officer must suffer the consequences of his lapse, by appropriate departmental action, whenever called for. Taking into consideration the seriousness of the matter, the concerned official may be withdrawn from investigative responsibilities, permanently or temporarily, depending purely on his culpability. We also feel compelled to require the adoption of some indispensable measures, which may reduce the malady suffered by parties on both sides of criminal litigation. Accordingly we direct, the Home Department of every State Government, to formulate a procedure for taking action against all erring investigating/prosecuting officials/officers. All such erring officials/officers identified, as responsible for failure of a prosecution case, on account of sheer negligence or because of culpable lapses, must suffer departmental action. The above mechanism formulated would infuse seriousness in the performance of investigating and prosecuting duties, and would ensure that investigation and prosecution are purposeful and decisive. The instant direction shall also be given effect to within 6 months”. But the question is what is the procedure to be adopted in the Case of erring Judges?